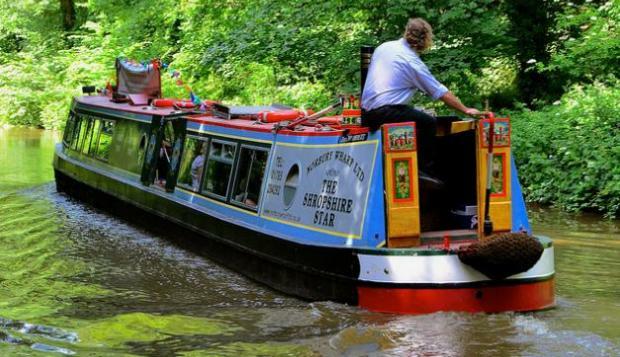 The Shropshire Star is a seventy foot long narrow boat operated by Norbury Wharf Limited. 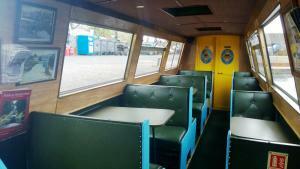 She can accommodate up to 42 passengers. Her cabin has large picture windows along it's length. 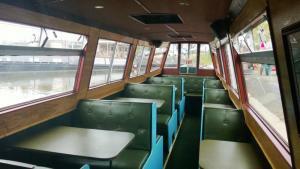 Her raised seating is ideal to get a panoramic view as you cruise along the Shropshire Union Canal. She offers both Public and Chartered trips to suit your requirements throughout the year. 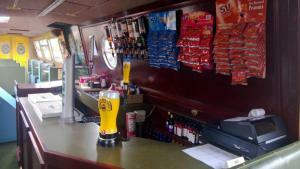 Her fully licensed bar is open for the duration of each cruise, supplying cask ale, lager, cider, spirits, soft drinks, crisps, nuts, chocolate etc. Read more about Public trips by clicking here. Read more about Chartered trips by clicking here. Really enjoyed the one hour boat trip up the canal on Sunday. Friendly staff, great evening out. Excellent boat trip and hospitality. Can I steer next time? Enjoyed the canal boat trip, thank you very much. Had a really nice trip, the staff were very friendly and helpful. Even in the rain, the people who run this made it very interesting for the children, pointing out the uniqueness of different bridges and landmarks along the way. We had a lovely afternoon and will definitely be going back. Two children aged 8 and 9 - their comment on return was "AWESOME, WHEN CAN WE GO AGAIN?" Made it worth every penny.